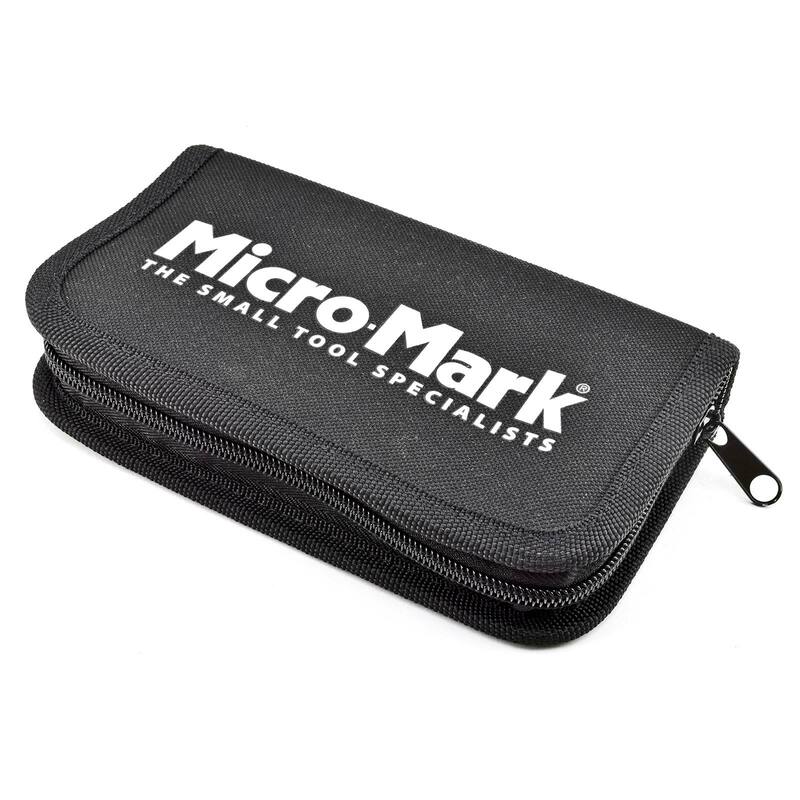 Packed inside this small zippered case (only 7" x 4" x 1-1/4") is a 13-tool powerhouse, essential for hobbyists, D-I-Yers and technicians alike. Ergonomically designed handle incorporates a patented silent-operating gear-less ratchet system which provides greater control and comfort while working on an amazing array of projects including electronics and computers, watch and jewelry-making, machine, camera and R/C vehicle assembly and repair, and so much more. 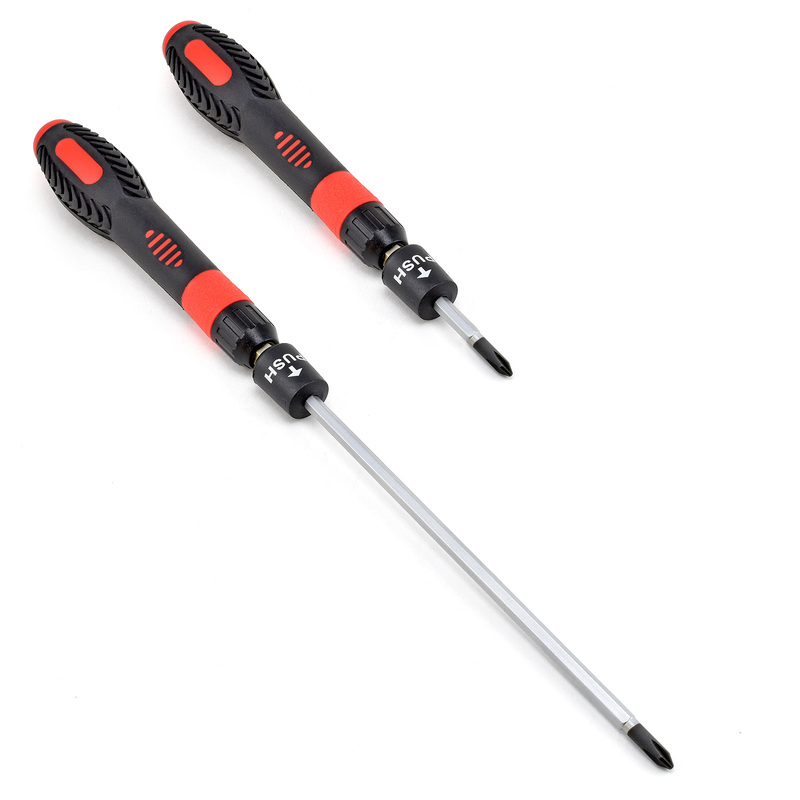 The heart of this set is the innovative push-lock/unlock collet system, which permits each driver to be retracted/extended to any length from a compact 6-1/2" overall to a far-reaching 11-1/4". 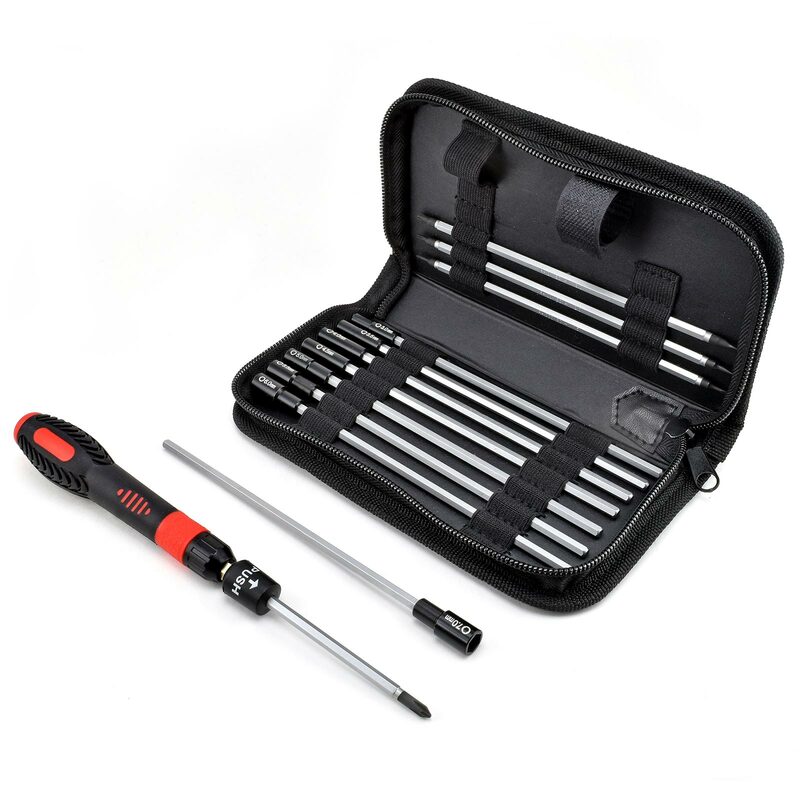 Set includes ratchet handle with left, right and lock action, four double-ended screwdriver bits (slotted blade 1.5 mm / Phillips #000; 2.0 mm / #00; 3.0 mm / #0; 4.0 mm / #1), plus eight hex nut drivers (3.0, 3.5, 4.0, 4.5, 5.0, 5.5, 6.0 and 7.0 mm). All drivers have 4 mm hex shafts made of hardened nickel-chrome-molybdenum alloy steel with satin chrome finish for a lifetime of use.